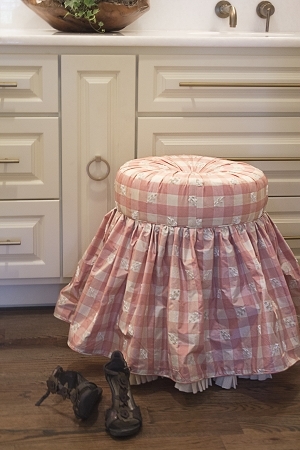 Tuffet #2 has a double layer skirt. 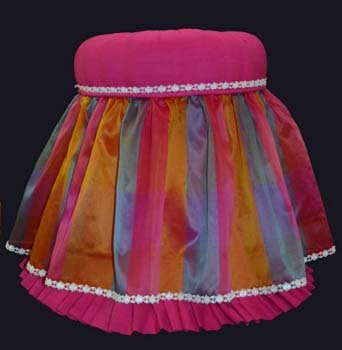 The bottom layer skirt is embellished with a pleated ruffle that peeks from underneath. Any weight fabric works well for the but silk and light weight fabrics are the best. Combining heavy weight with light weight sheers or silk is a fun combination. The center of the cushion is tufted to the center with a covered button. 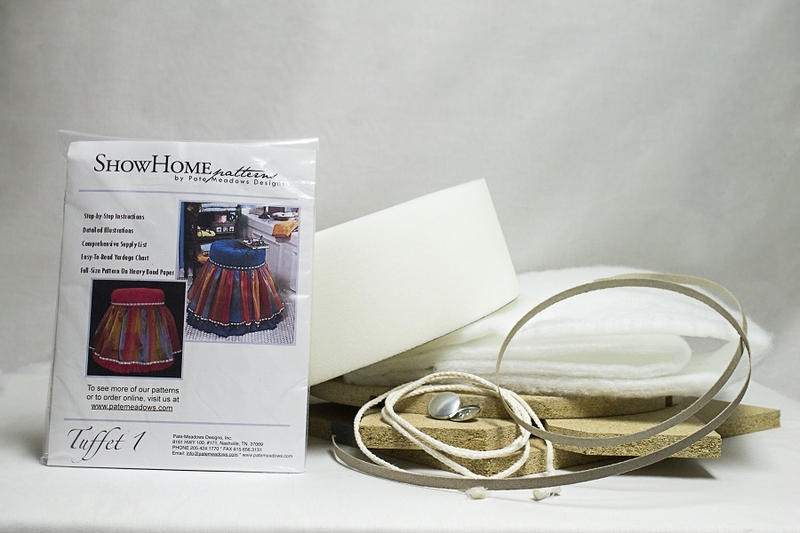 Our Tuffet Kits come with everything you need to make your tuffet using your fabric.